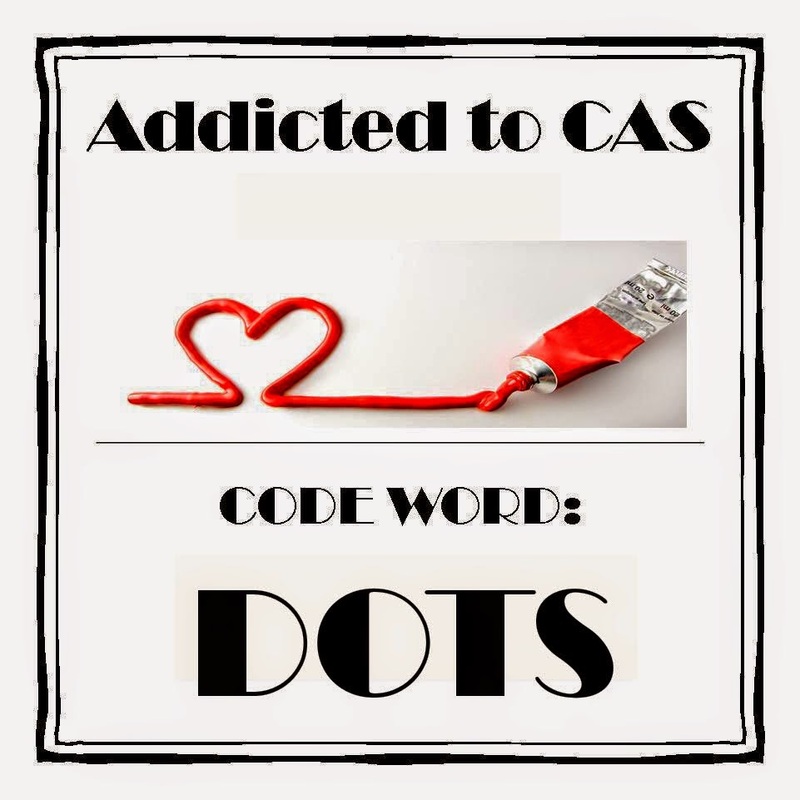 This is my last post as a guest designer for Addicted to CAS. I have so enjoyed my experience and am always humbled by the creative awesomeness of you all. The new challenge theme is Dots and is hosted by Loll. I was browsing on Pinterest when I spied a Christmas Tree in a window which was made up of paper snowflakes and was the inspiration of my card. I used an orphaned snowflake (green) stamp and a stylus(red) to stamp inside a "Plaid" stencil. The garland was stitched on after I pierced it out using a circle shape as a guide. The background was dry embossed using a Darice folder. What a beautiful card Linda, Love the tree and your Garland is real inspiration....Brilliant! Oh this is beautiful - I love that stitched garland you added! Thanks for being our GD this month - your cards have been lovely! A very pretty card, I love the embossing and the tree looks beautiful! A beautiful card Linda - love the sparkly garland! Fabulous embossed background too! You tree is so gorgeous, Linda! This is incredibly creative and SO pretty! I love the stitched garland almost as much as the tree! NJ! Linda what a beautiful card really magical and beautifully CAS its been a pleasure to have had you add guest designer at ATCAS.